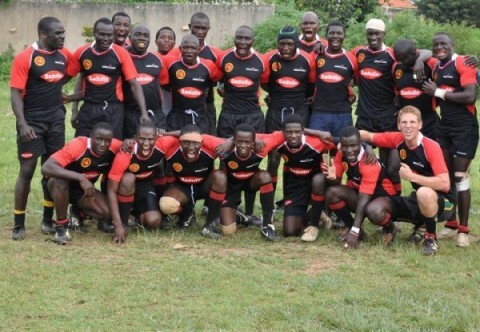 The Southerners don’t discriminate against gingers (much), and neither do Uganda’s Entebbe Mongers RUFC. Toby Eveleigh, the great former Southerners backrower, recently embarked with his girlfriend Tash on a six month voluntary teaching/nursing stint at an orphanage run by the Kids of Africa program in Uganda, situated halfway between the cities of Kampala and Entebbe. Not only did the experience give Toby the opportunity to use his skills to help kids born into a world of lesser opportunity, but to also play rugby with a bunch of massive Ugandan units. A Southerners polo shirt to the person who first identifies Toby in the below picture.